Residents along the Frankston line are breathing a sigh of relief, as the works that divided the residents on the Cranbourne-Pakenham line, the controversial Skyrail, has been ruled out as an option for the level crossing removals in Melbourne’s South-East. 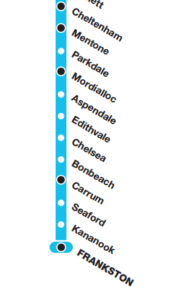 With other level crossing removal works, such as Rosanna Station about to start, the Frankston line, too has many removals that are on the cards. However they have been under a cloud of controversy, as residents along the line decided they did not want the same solution being applied to the Cranbourne and Pakenham lines applied to their own. Only a week ago it was claimed that the Skyrail was not completely off the table. While this turnaround is a win so far for residents against the Skyrail, there are more level crossings along this line that need work. It is claimed that on at least two, a rail bridge will be the only option. Protests against the proposed above ground option have been ongoing, with an official ‘No Skyrail’ website, boasting a petition with over 1000 signatures. It has been decided that the rail will tunnel under Mentone’s Balcombe road, and also under Cheltenham’s Park road and Charman road. 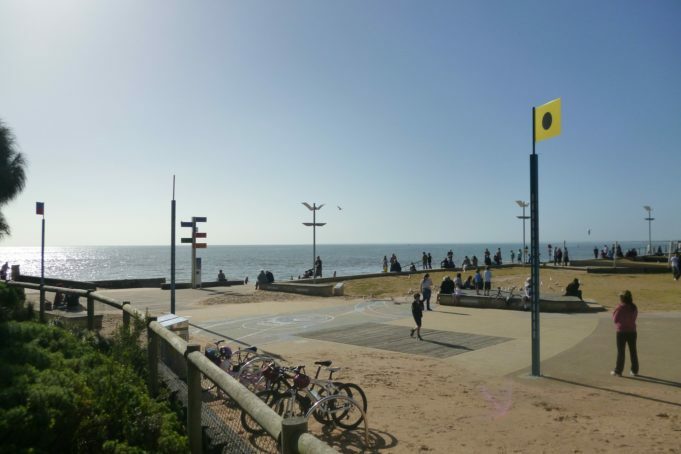 Along with other projects, the works along the Frankston line have invited community input, with the overwhelming majority voting against the elevated rail option. While the trench beneath the ground will be ultimately a more attractive selection, it will also be substantially more expensive. The ‘No Skyrail’ website claimed that the works would ‘lead to a decrease in property values’ – however, now that the underground solution has been decided on, over 32 buildings, including 7 businesses and 25 homes, have to be acquired to make room. Consequently, the government claims a Skyrail solution would have only lost 8 homes to the works. State Transport Minister Jacinta Allan claimed “These dangerous level crossings clog streets and put lives at risk,”. The commotion caused by the boom gates along the Frankston line is a frequent headache for drivers, as the gates stay down for up to 50 minutes collectively during peak hour. Along with the continual delays that plague Melbourne Metro Rail. However, the approved design has only just been put out for tender, so the work itself is not cited to begin until the end of 2018 at the earliest. Cheltenham and Mentone will both be receiving new stations as part of the upgrades, with multi-level carparks and new facilities to boot. Jobs available with the Level Crossing Removal Authority (LXRA) in Melbourne currently number almost 200, across multiple fields. For more information, jobs, and news updates click here and join the conversation!